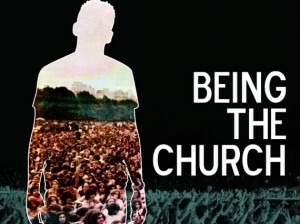 This post is part of Sam Riviera’s series on being the church in our community. See the bottom of this post for more posts on how you can be the church to others by living like Jesus among them. Recently I traveled to Denver to visit The Refuge, a beautiful eclectic faith community, co-pastored by our friend Kathy Escobar. I spent part of a couple of afternoons with Kathy while she showed Jesus’ love to people, and one evening at her home as part of the group that meets there on Wednesday evenings. Following a potluck meal, the group gathered for a discussion led by Kathy. During my time with Kathy and The Refuge, I noticed several things that they put into practice which helps them be the church in their community, and reveal Jesus to a dying world. The group welcomes everyone. Really, everyone is welcome, regardless of their situation in life. There is no expectation that anyone meet any requirement to be part of the group. 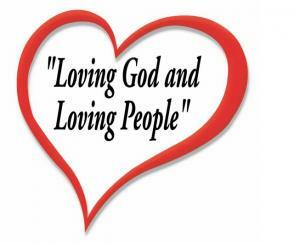 Unlike so many “churches”, all are equally valued. Everyone’s comment, everyone’s observation is treated with equal value. I saw no one being treated with preference. If this group has an “insider’s group”, I could not detect it at any point during the evening. There were no “fringe” people. No one was passed over. No one was ignored. Regardless of economic status, religious background or lack of it, history, current life situation, marital status, and you-name-it, everyone is loved. Everyone fits in. Everyone is included. When one person mentioned an unkind comment that someone had made about the group, no one got upset. After the group discussion, I heard that comment mentioned again and someone added that the person who made the comment did not find what they were looking for at The Refuge. I felt no condemnation, only love, even for the person who had been unkind. Have we ever thought that we would like to meet the earthly Jesus in person? When life stinks, wouldn’t it be nice if Jesus could show up in person and give us a big hug, with arms that we could feel wrapped around us? Jesus does still show up in person with arms to wrap around the lonely, the brokenhearted, the angry, the sick, those struggling with addictions, those who need a helping hand, those who need someone to listen. Sometimes when Jesus shows up in Denver Jesus looks like The Refuge. When are you coming back to Denver, Hopefully we can connect next time you visit. Love Kathy and the Refuge, they are so good at living out love. Edwin, We’re working on that right now. Do you have a web site where I can e-mail you? If not, e-mail Jeremy and he will give you my e-mail. When we come we’d definitely like to meet up and also meet some of your friends. You are also welcome ion San Diego. Sam, you can email me at hisurbanpresence@gmail.com.